With retailers selling watermelons by the individual melon (i.e. $3.99 per melon) receiving watermelons being uniformly sized is important. No one expects the consumer to choose a small watermelon on display if larger melons are available for the same price. 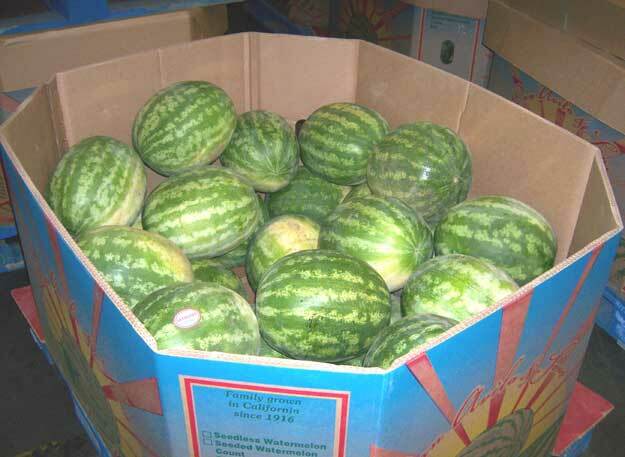 Most of the times watermelons packed in cartons will be uniform in size. But when receiving bulk watermelon loads this can be challenging. 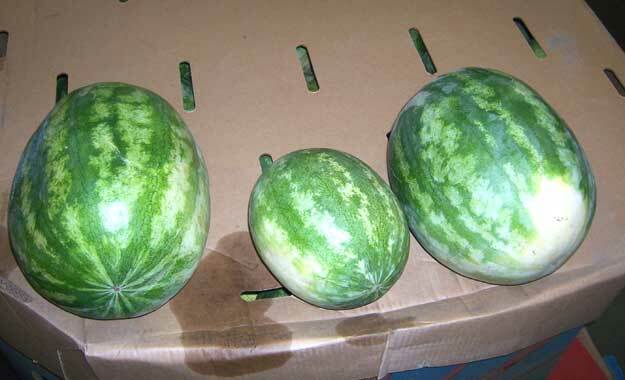 What can you do to determine the uniformity of the melons? Simply counting the melons will not suffice. Let’s say your order is based on average count of melons per bin. You may find the count is met, but the melons still range from small to larger melons. The USDA Inspection Instructions do offer some suggestions. If you think you may have a problem with the uniformity of size you may want to weigh the watermelons, checking for uniformity. Weigh, at random, from different bins, 50 melons. You will want to keep track how many watermelons vary in weight, from the largest to the smallest watermelon. The USDA states the watermelons are considered as being uniform in size if they do not vary more than 3 pounds in weight, from the smallest to the largest watermelon. As an example, let’s say there are to be 50 melons per bin. With a net weight of 1000 pounds per bin, the average weight of each watermelon should be 20 pounds (1000/50= 20 lbs.) Weigh 50 watermelons, and keep track of how many watermelons are outside of the 3 pound range. Watermelons weighing less than 17 pounds and weighing more than 23 pounds would be considered as offsize. Unfortunately there are no tolerances established by the USDA, as to how many melons are allowed to be outside this range, but if you find more than 10% of the watermelons outside the 3 pound range then you know you have a problem.